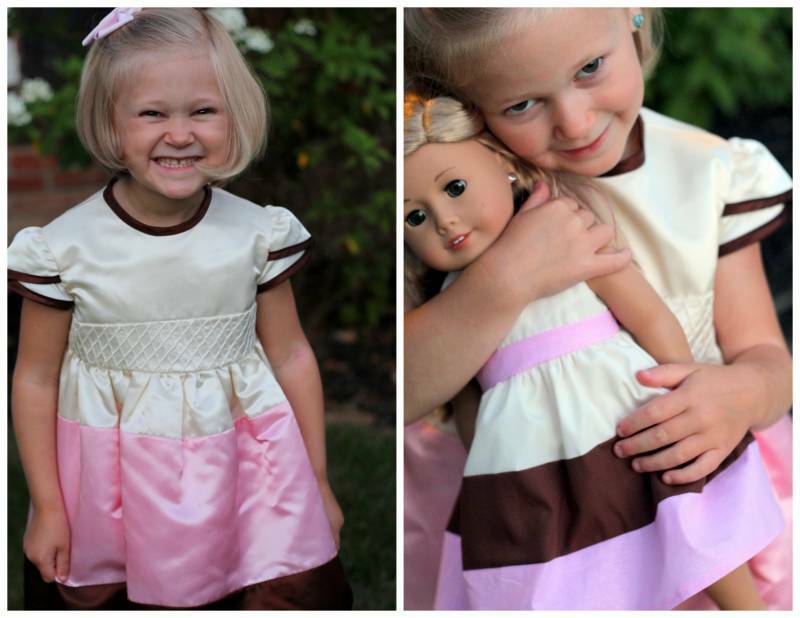 Isn’t this Neapolitan style dress gorgeous? 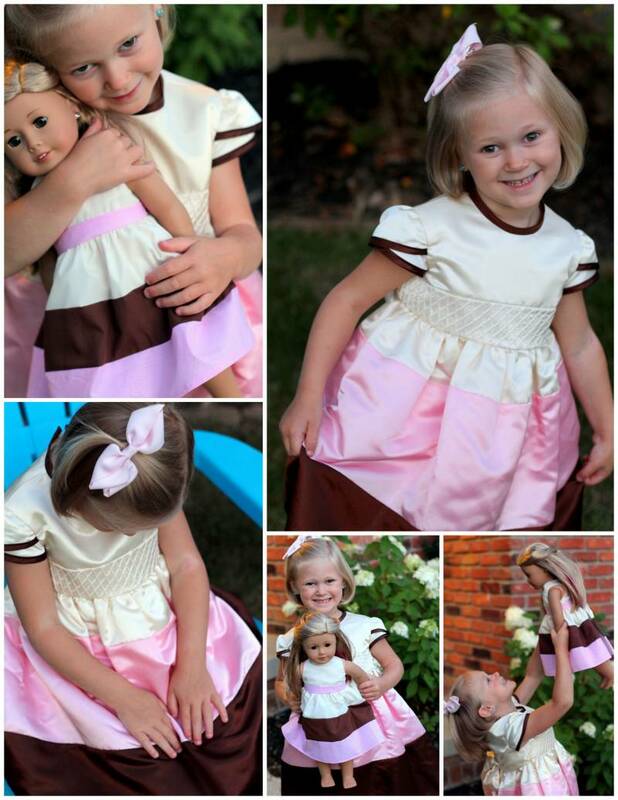 Julia and her mom worked skillfully at creating this adorable dress for her daughter. The detail on this dress is exquisite, down to every last stitch. From the waffle cone inspired needle work along the waist, to the tulip sleeves and beautifully lined inside, it is a truly couture, heirloom quality garment. 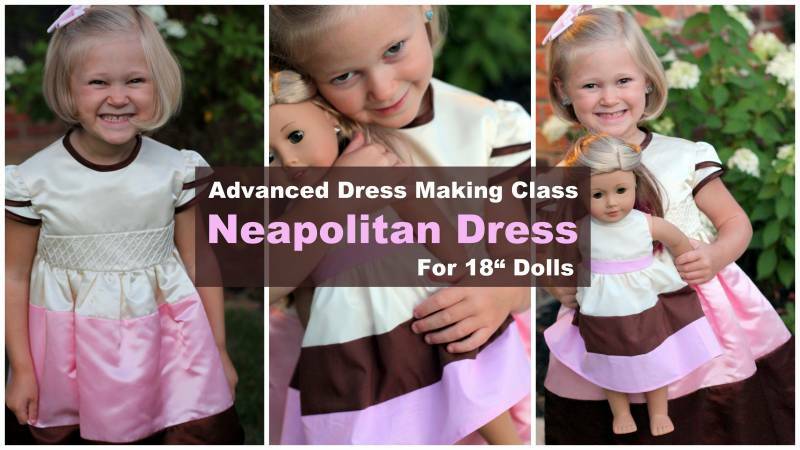 We decided it would be super fun to create an advanced 18″ doll dress making class inspired by this beautiful Neapolitan dress. 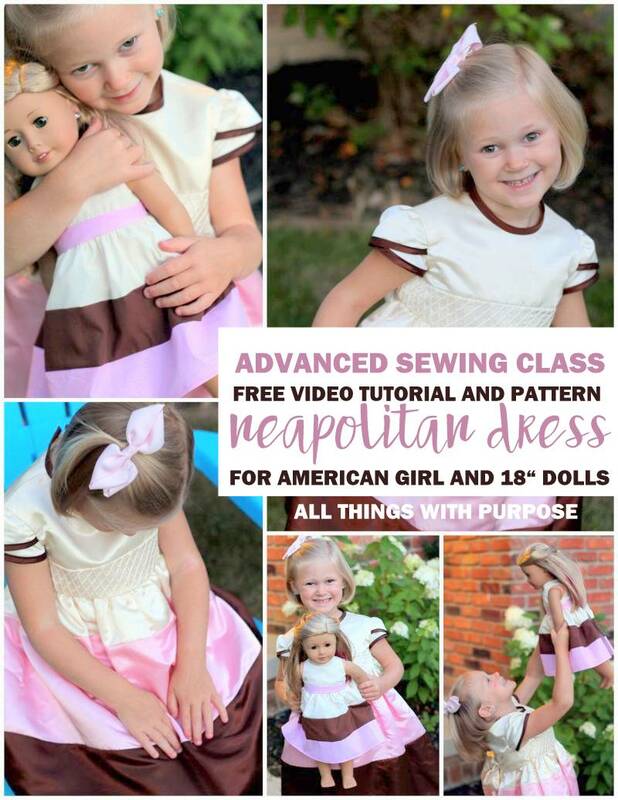 Watch this video for a quick idea of what to expect in the advanced sewing class video. 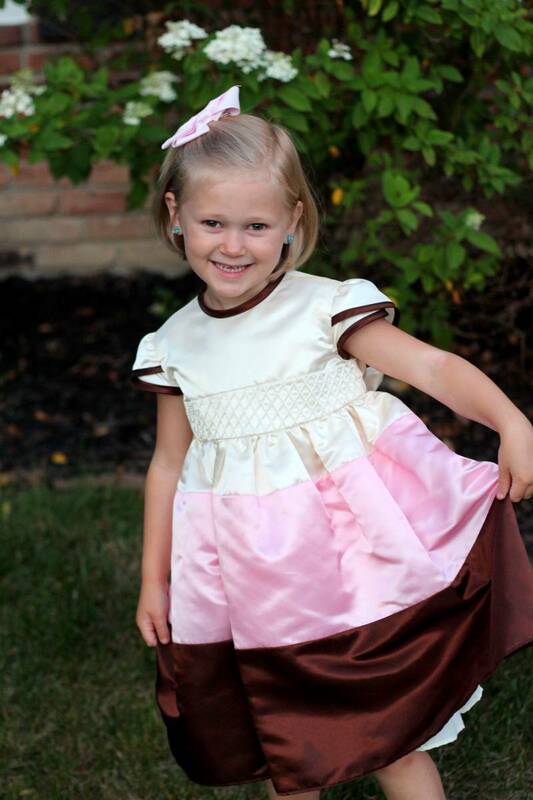 Download the free pattern HERE and then follow this advanced sewing class video below for step by step instructions! 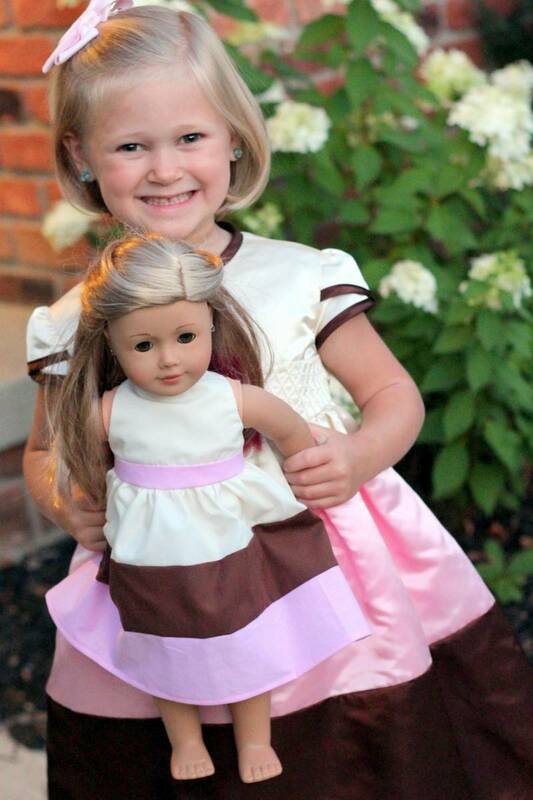 Sarah, thank you so much for the free doll dress pattern. However, something appears to be wrong with the first page – it only partially loads. When I saved it to my computer the first page is just blank. Hi Melody! I just tried it on my end and it loaded, it just went a little slow. I would wait until it loads completely and then save it to your computer. The first page is just a cover page and isn’t really necessary if you want to just go without it. I think during high traffic times when a lot of people are trying to access this it loads a little slow. Sorry about that!